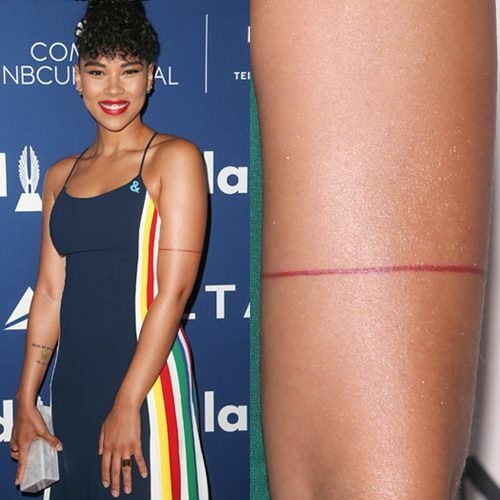 Alexandra Shipp has a red line band around her left upper arm. 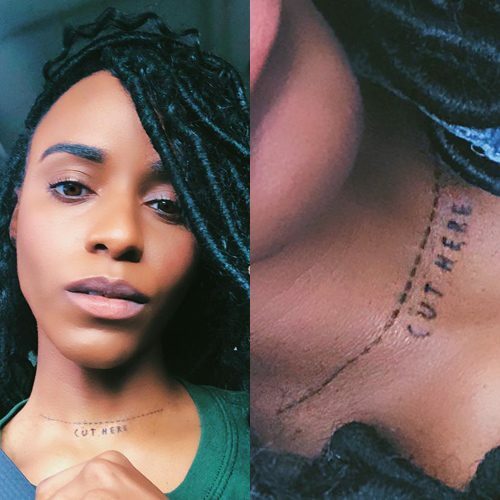 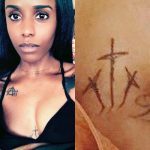 Angel Haze has a tattoo on her neck with dotted line and the message “cut here”. 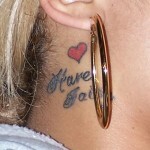 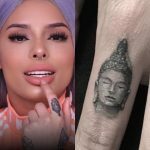 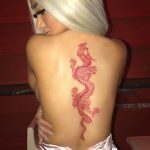 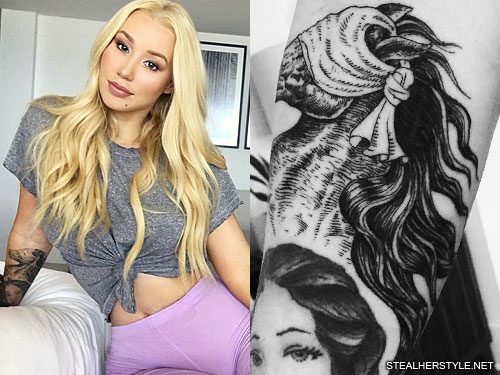 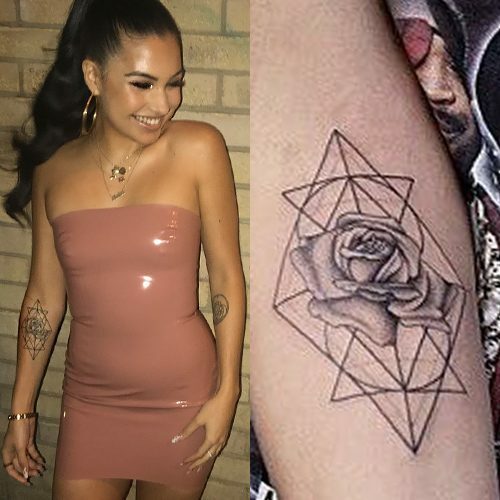 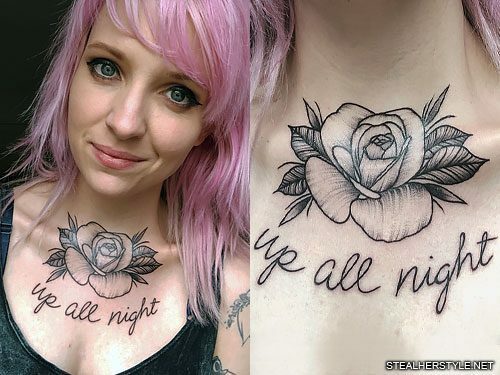 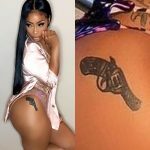 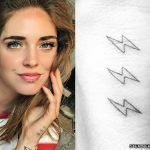 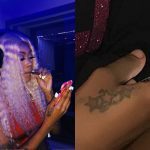 Her ink is inspired by the charachter Trevor from the video game Grand Theft Auto 5. 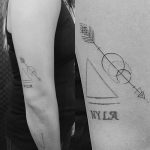 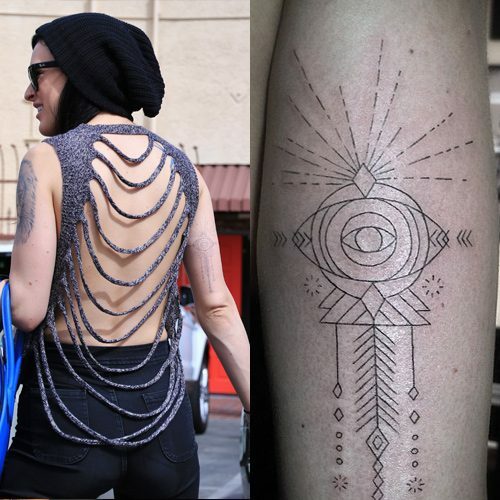 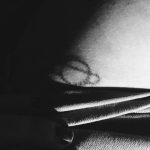 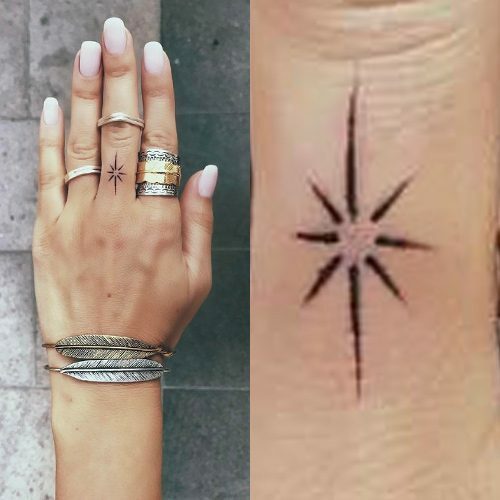 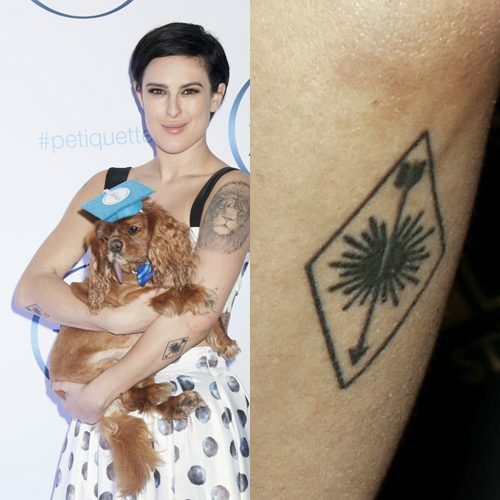 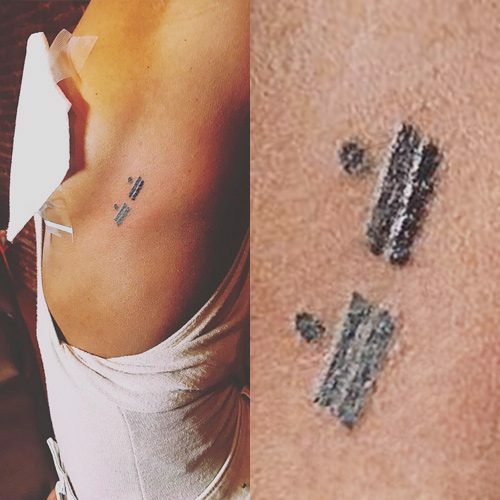 Rumer Willis has on both of her elbows two tattoos of an arrow on a diamond shape.